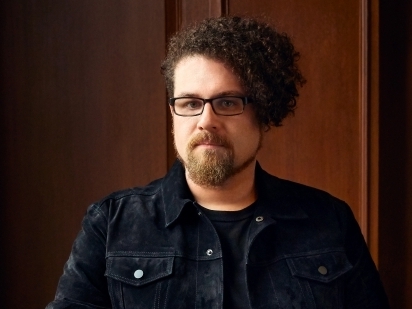 Miller Theatre commissioned writer Lara Pellegrinelli to create this season’s Composer Portraits program notes, as well as a series of Q&As with Executive Director, Melissa Smey. Here is the first installment. Two MacArthur winners, a Pulitzer Prize winner, and her runner up. Three Columbians, one Princetonian, a Harvardian, and someone for whom an advanced degree would have been completely beside the point. Three women and three men. Seven ensembles. Plus one Executive Director. Melissa Smey has been at the helm of the Miller Theatre since 2009 and in its employ since 2001, when she began as its business manager. Let her tell you how she put together the amazing concerts for this season’s Composer Portraits, Miller’s flagship series. How do you go about planning a season of Composer Portraits? It's about making a love connection between composers and ensembles. I have a giant wish list of composers who I want to feature. And because I care deeply about supporting the new music scene here in New York City, it’s equally important to me that I work with local groups, like the International Contemporary Ensemble (ICE), JACK Quartet, and Yarn/Wire. "I also care about gender diversity and want to make sure that women have equal opportunities in what is still a male-dominated field." I also care about gender diversity and want to make sure that women have equal opportunities in what is still a male-dominated field. And I care about stylistic diversity. As an institution, Columbia has a long history as the epicenter of “uptown” music, but I’ve watched this place evolve over the past 15 years to embrace a broad range of aesthetic styles. During one of my first seasons programming Composer Portraits, we had a concert of music by Pierre Boulez, a leader of post-war integral serialism, and another by Julia Wolfe, the rock-influenced co-founder of Bang on a Can. They could not be more different. I feel validated as a curator if I can create a season that’s a mosaic, bringing together different kinds of people and offering a breadth of new experiences to an audience. It sounds a bit like a jigsaw puzzle—or a process that could be illustrated by a big Venn diagram. Actually, I've been obsessed trying to come up with a way to visually represent the season with a huge infographic. What countries do our composers come from? Who did they study with? Who have they worked with? And, as much as artists resist labels, what styles are they working in? I first started thinking about networks of people long before I became the Director here in 2009. When I took over the jazz series a few seasons before that, I started keeping a matrix of which musicians knew each other, who was a bandleader, who played with them, and how they fit together within the scene. Don’t jazz musicians have more mobility than their new music counterparts, with players leading their own groups and typically performing in the bands of a number of other musicians? There's actually quite a lot of fluidity in new music these days, with key musicians who play in multiple groups and composers who play and are part of those configurations. 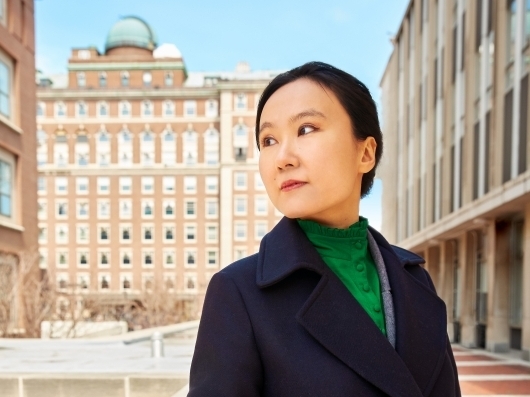 Just look at this season of Composer Portraits: Du Yun was a founding member of ICE; David T. Little is the artistic director for Newspeak; Kate Soper composes and performs with Wet Ink. I’ll also mention Ian Antonio, the percussionist in Wet Ink; he’ll be playing on Kate’s Portrait and is also in Yarn/Wire. These two traditions of new music and jazz may slowly be converging. 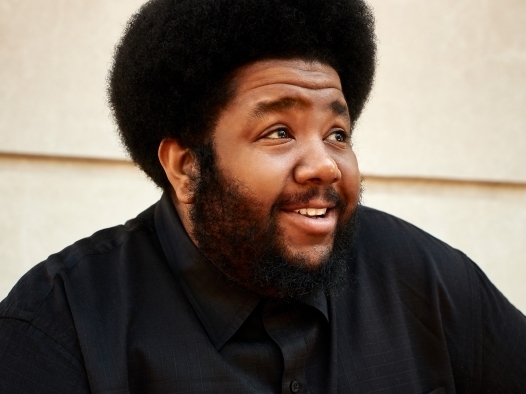 At Columbia, we’re so lucky to have George Lewis on the faculty, someone who bridges stylistic divides and has guided students in the Ph.D. program like Tyshawn Sorey; he gets his own Composer Portrait this year. 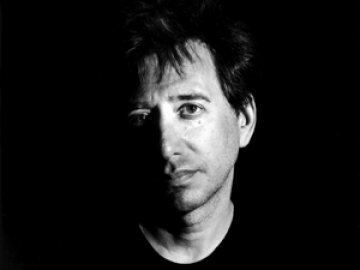 John Zorn, who has been on the series multiple times and will be coming back this spring, is beyond category, the quintessential, all-embracing New York artist. With programming that features artists of such breadth, is there anything off limits? Sometimes I miss out on a chance to debut groups here in New York, but I don't book anything for Miller if I haven't heard the performers live. I've made a promise to the audience that the music will be great and it’s one I intend to keep. Hearing musicians live is the only way to gauge their musicianship, their rapport with each other and the audience, as well as stagecraft—an element of performance that tends to be neglected in the realm of music. I’ll program a Pop-Up Concert with an ensemble as a “first date” to see what it would be like to work with them before I bring them on for a Composer Portrait, which is a much bigger commitment. People should have a chance to live together before they get married. So you’re building relationships with ensembles over time. Are you also building relationships with composers over time? Yes. In the art world, retrospectives tend to function as a snapshot and it’s typical for visual artists to have them earlier. That’s what we do. A portrait doesn't have to be a culmination. And then I can revisit the relationship when I want to. And we have. We’ve worked with Zorn, Steve Reich, Chaya Czernowin, Frederic Rzewski and a handful of others multiple times. A Composer Portrait can be the beginning of a journey together rather than an arrival. 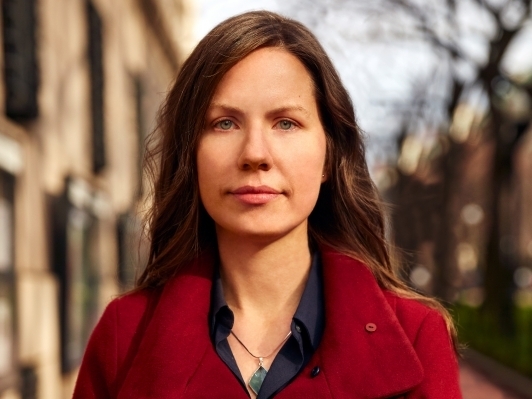 I did a Composer Portrait with Missy Mazzoli on the 2014–15 series – I admire her so much – and a lunch date led to an invitation to join the commissioning group for her new opera Proving Up, which we produced here in September. We did a Composer Portrait concert with Marcos Balter last season, which led to a commission for a Pop-Up Concert for one of his students Camila Agosto. It was the first paid commission for this remarkable young artist who was still an undergrad at Montclair State. Now she’s at Peabody studying composition. We’ll see where she is in five years. "Commissioning at Columbia has a nearly 100-year history and was a huge part of the Ditson Festivals of Contemporary American Music in the 1940s and '50s. We're paying tribute to that legacy." Supporting composers in the creation of new work is another element in the equation. Commissions are challenging to fund. We carve them out of the season budget or sometimes co-commission since we have modest means. But we do it and I’ve made it a dedicated component of each year’s Composer Portraits because it’s super important. Commissioning at Columbia has a nearly 100-year history and was a huge part of the Ditson Festivals of Contemporary American Music in the 1940s and '50s. We're paying tribute to that legacy. Investing in commissions brings composers, local performers and venues together in an interdependent relationship, as opposed to allowing a composer to drop in for one concert and ride off into the sunset. Yes, and that kind of collaborative relationship building is at the core of how I work. I’m not an impresario. Many people – most of them men – have been successful with that model, certainly in New York cultural institutions. It’s just not me. It took me a little while to find my voice and to realize that it was a totally valid path as a curator. When we’re talking about community building and collaborative relationships, how does the audience fit into this equation? You have nothing without an audience. We're not doing this in a vacuum. We're lucky that we're at a university where a spirit of inquiry pervades the culture. People from the age of 18 to 25 make up approximately 25 percent of our audience. Music Humanities has been part of Columbia’s core curriculum since 1947. The faculty who teach this course have the same goal I do: to facilitate what will hopefully be a lifetime of engagement with the arts. We've had groups of the Music Humanities students come to a dress rehearsal or a lecture demonstration. When it works out, our composers visit the Graduate Composition Seminar and talk to the doctoral students. Which is awesome. Miller Theatre is on Columbia's campus, but also located right on Broadway, so broader New York audiences can navigate there easily right from the 1 train. That's right. The concerts that we do here are a great way for New Yorkers to try something new. With classical music, there are so many preconceptions about how you're supposed to behave, what you’re supposed to wear, what you're supposed to know. At Miller Theatre, we want everyone to feel comfortable and come as they are for unique musical experiences they can't experience anywhere else. We know that 30–45 year olds can find it especially challenging to find a night out with busy schedules and families, so I have been programming more family-friendly events so they can come for an enjoyable afternoon or early evening concert with their kids. "At Miller Theatre, we want everyone to feel comfortable and come as they are for unique musical experiences they can't experience anywhere else." There’s also a cohort of new music diehards, these loyal, lovely people whose faces you’ll see at all the new music concerts in town. It’s funny sometimes. When we started producing Pop-Up Concerts seven years ago, we made them at 6:00pm and there was a group who loved that—not because they needed to call it an early night, but because they could still make it to another concert at 8:00pm. This year we have more new subscribers than we’ve had in past years by a wide margin. So we did a small, targeted email survey to find out why. For the most part, it's because the composers seemed compelling, not that it was cheaper or at a more convenient day or time. It was about the content, which was great for us to hear. 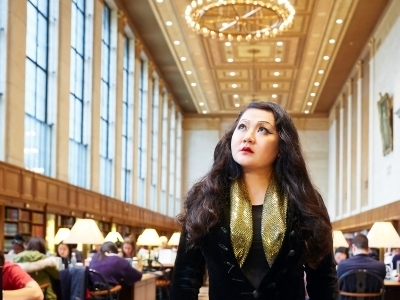 Browse this season's Composer Portraits events.